Ireland’s Decade of Centenaries is a period of roughly 11 years in which local communities and the nation as a whole will publically celebrate and remember the significant historical events upon which our nation was built, from the initial Home Rule Bills, to the War of Independence, and the admission of the Irish Free State to the League of Nations. 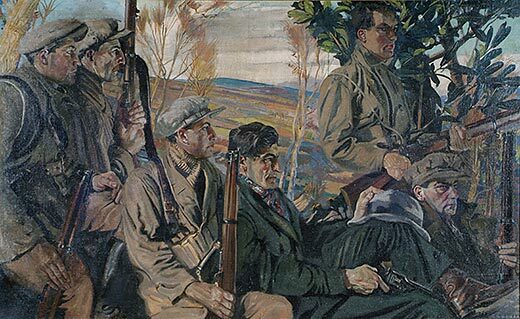 The centenary celebrations have realized an often painful, traumatic collective memory for Irish people, but the significance of the centenary commemorations is to face that past, ask the uncomfortable questions, and understand how history still impacts, and will always impact, the politics of the day. The turbulent history of the Irish Free State remains potent in Irish politics 100 years later, but how far have we come? What lessons are still to be learned? 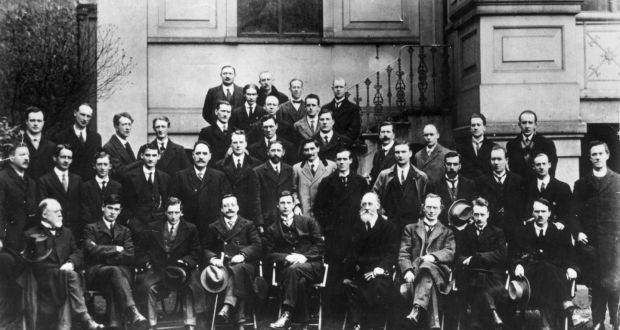 The Decade of Centenaries will see a litany of historical events publically remembered – the Easter Rising of 1916, the general election of 1918, the first meeting of Dàil Èireann in 1919, the Representation of the People Act 1918 which granted women’s suffrage in Ireland for the first time, the War of Independence 1919-1921, the Civil War 1922-23, the first Anglo-Irish Treaty and the creation of Northern Ireland in 1921. Many smaller celebrations are also taking place in local towns and cities around Ireland, such as the Soloheadbeg ambush, the event which sparked the War of Independence in Co. Tipperary, 21 January 1919. The ethos of each centenary remembrance must change relative to the nature of the event – simply recalling these historical events is no simple issue. The centenary of Irish women’s suffrage, for example, has been a mass of celebration for the women of Ireland, past and present. However, commemorations of local ambushes and battles, such as Soloheadbeg (where two Royal Irish Constabulary (RIC) men were shot) can be more delicate, rather seeking to remember those who lost their lives on either side of the War of Independence. However, the nature of such events trigger responses from local communities in different ways, continually highlighting the often painful memories of our tense past which have not yet been reconciled. Certain issues in the history of the Free State remain contentious both amongst historians and the public alike, and demands sensitive handling so as not to lionize martyrdom and blood-shed. This often violent history, when it is dutifully resurfaced, must encourage the public to reflect on a painful, traumatic period in our collective memory. Always being intertwined in current political discourse, these national commemorations ask the State and its’ people to reflect, actively and respectfully – one famous 19th century historian, Sir John Seeley, formulated that “history is past politics, and politics is present history”. During President Higgins’ election tour, he warned readers of the Irish Times that these Revolutionary events remain potent in the Irish psyche. Commemorations have a responsibility to reflect the complexities of these events not in isolation from the political climate of the time. We must avoid “rekindling old conflicts rather than healing them”, the President said, but striking a balance between old passions and new is no simple task. The media has begun to raise significant questions surrounding these commemorative moments, as the narrative becomes increasingly complex moving from the romantic signatories of the Rising to the darker, harrowing history of the War of Independence – should the State even be actively involved in commemorating so many acts of violence which shadow the years 1919 to 1923? How can we do so, at the same time falsifying an idea that there is a ‘right side’ in history? In historian Diarmaid Ferriter’s words, “Balanced commentary should acknowledge British alongside Irish culpability” in the history of the War, and re-examine “the enduring legacies that continue to complicate Anglo-Irish relations”. The complexities of those relations to our British neighbours have never been simple. With the centenary year of the Anglo-Irish Treaty fast approaching (the document which annexed the North of Ireland and defined the Irish Free State in 1922), the history of the Northern Irish peace process, and the question of a ‘United Ireland’, has re-entered popular discourse. As government tactfully prepare for the possibility of a no-deal Brexit, we have seen dilemmas and terrors, borders and violence, resurface with a very real charge – and not without ‘old’ aggressions coming to the fore once again. Just three days before the 100th anniversary of the Soloheadbeg ambush, a car-bomb attack in Derry, suspected as a manoeuvre orchestrated by the ‘New IRA’, has reminded us all of the dark underbelly of these commemorations. For historians, the process of studying our past cannot be value-free, but the State faces significant challenges in handling the act of commemoration when such issues are now staring at the possibility of a no-deal Brexit. History as a discipline must retain its legitimacy in the public sphere – if we cannot learn from our own past, who are we going to look to when we are confronted time and time again by the traumatic legacies of the Irish State? Westminster? Recalling the declaration of democratic independence first foregrounded by the Bunreacht Dála Éireann (The Constitution of Dáil Éireann), read at the first meeting of the Dáil in 1919, can do much to re-inspire the values that these commemorative events seek to celebrate. Just 100 years ago, the new-born State set out to “re-establish justice, to provide for future defence, to insure peace at home and goodwill with all nations and to constitute a national polity based upon the people’s will with equal right and equal opportunity for every citizen”. Are we not guided by the same values and principles in 2019? Often, the present reality is not so simple – progress is rarely linear, and we cannot hope to properly understand the nuances of present political relations at home and abroad if we do not first return to the sources. So, how far have we come? In the centenary anniversaries, we can learn as much from how we commemorate, as we can from the original event itself. 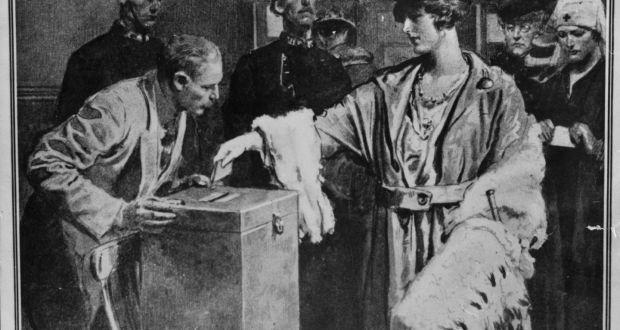 ‘Votáil 100’, the official commemoration of women’s suffrage in December 1918 has been a momentous highlight in the Decade of Commemorations. As a campaign, Votáil 100 not only remembered those women who fought to achieve democratic rights for Irish women, but also the first Irish women active in public politics, and labour and women’s rights campaigns. Likewise, the campaign also sought to highlight the role of women in the foundation of the State – organisations such as Cumann na mBan and Inghinidhe na hÉireann were heartily celebrated at public marches and rallies, re-enacting the fearsome and impassioned beckons for women’s rights to citizenship and political representation that first erupted in the late 19th century. However, as these commemorations have encouraged Irish society to evaluate just how far we’ve come in these short 100 years, Votáil 100 also forced Irish people in all corners to question contemporary issues of gender equality in politics, governance, the arts, education, and academia. After all, we can celebrate the first female minister in Constance Markiewicz, but another woman would not take a seat in government until 1979, when Máire Geoghegan-Quinn was appointed Minister for the Gaeltacht. Commemorative events have been forced to ask, was 1918 really a new era for women’s equality in Ireland? If it was, it was certainly halted with the 1937 Constitution – a document which placed women in a position of “permanent inferiority”, suffragist Hanna Sheehy-Skeffington decried. 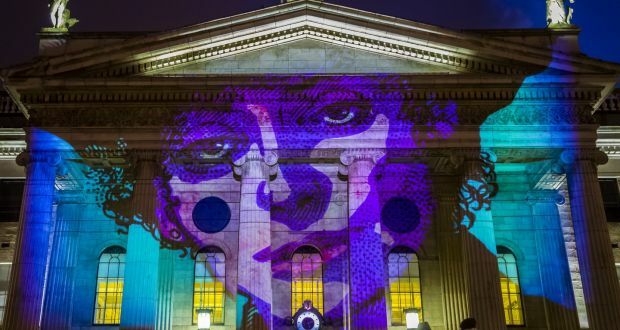 Nonetheless – the 2019 ‘HerStory’ event which took place on Nollaig na mBan, or ‘women’s Christmas’, again sought to develop a narrative which celebrated women and girls not only in history, but in politics, art, sport, culture, and medicine, in Ireland and the wider world. The event was extraordinarily powerful, and is just one example of how these centenary commemorations can provide a healing presence as we reflect on a dark past. Our commemorations of the first Dáil, and other historical milestones of the Revolutionary period, should be no different, but curators and enthusiasts alike have a responsibility to go back to the sources, back to the books, to photographs, speeches, reports, documents, newspapers. We cannot simply ‘remember’ the past, we must challenge it, actively, with objectivity and accuracy, and always with current debates in mind. Cover photo: Studio portrait of Countess Constance Markievicz (née Gore-Booth) in uniform with a gun, c. 1915. National Library of Ireland, Keogh Photographic Collection. 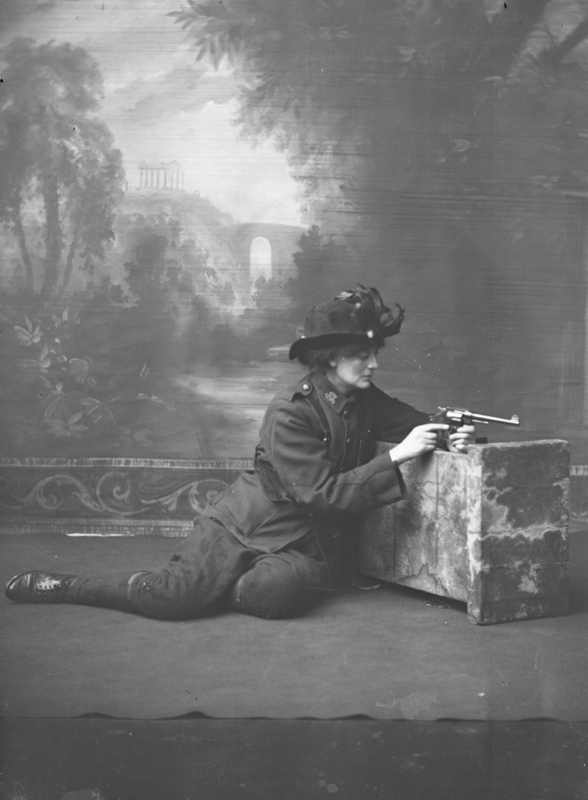 Studio portrait of Countess Constance Markievicz (née Gore-Booth) in uniform with a gun, c. 1915. National Library of Ireland, Keogh Photographic Collection.